Anytime you turn or do anything - someone may be watching & is trying to make a buck off you. I see this as a beginning. Will your ISP soon be watching you? Or are they already? At what point do we say we want the damn internet back and some privacy too? Article: "That Game on Your Phone May Be Tracking What You’re Watching on TV" by Sapna Maheshwari. Book: The Age of Access: The New Culture of Hypercapitalism, Where all of Life is a Paid-For Experience by Jeremy Rifkin. 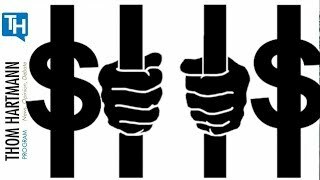 Article: "Private prison investors set for giant windfall from Trump tax bill" by Jamiles Lartey. Book: "They Thought They Were Free" by Milton Mayer. Article: "Sen. Bob Corker will not run for re-election in 2018" by Michael Collins. Article: "Arizona's Jeff Flake announces he will not seek re-election to U.S. Senate" by Dan Nowicki. Article: "The Truth About the Wounded Knee Massacre" by Patti Jo King. Article: "The Yield Curve as a Leading Indicator" by Federal Reserve Bank of New York. Article: "Billy Bush" by Wikipedia. Article: "The Pentagon’s ‘Terminator Conundrum’: Robots That Could Kill on Their Own" by Matthew Rosenberg And John Markoff. Article: "Stephen Hawking's Six Wildest Predictions From 2017—from A Robot Apocalypse To The Demise Of Earth" by Dana Dovey. Article: "A Federal Ban on Making Lethal Viruses Is Lifted" by Donald G. Mcneil Jr.
Book: Capital in the Twenty-First Century by Thomas Piketty. Article: "Gini coefficient" by Wikipedia. Article: "List of countries by income equality" by Wikipedia. Article: "Can Trump Pardon Himself? Explaining Presidential Clemency Powers" by Charlie Savage. Article: "Can the President Be Indicted? A Long-Hidden Legal Memo Says Yes" by Charlie Savage. Article: "December 29 is the Anniversary of Wounded Knee" by John Christian Hopkins. Article: "Ghost Dance" by Encyclopædia Britannica. Article: "China Breakthroughs: Pay it forward on cashless society" by Qian Ding. Article: "China takes the lead in launching facial recognition payment for commercial use" by China Daily. Article: "Enabling Act of 1933" by Wikipedia. Book: "The Rise and Fall of the Third Reich: A History of Nazi Germany" by William L. Shirer. Article: "Trump Says Russia Inquiry Makes U.S. ‘Look Very Bad’" by Michael S. Schmidt, Michael D. Shear. "Another reason that I’m going to win another four years is because newspapers, television, all forms of media will tank if I’m not there because without me, their ratings are going down the tubes"
Article: "CBS CEO: “...may not be good for America, but it’s damn good for CBS”" by Lee Fang. 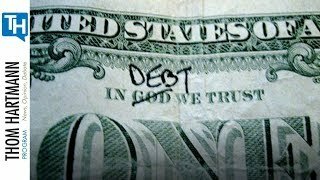 Article: "Student Debt Slavery: Bankrolling Financiers on the Backs of the Young" by Ellen Brown. Quote: "There are a thousand hacking at the branches of evil to one who is striking at the root." - Henry David Thoreau. Article: "Three-Fifths Compromise" by Wikipedia. Article: "Steady-state economy" by Wikipedia. Article: "Why We Need a Universal Basic Income" by Keri Leigh Merritt. Article: "New Deal" by Wikipedia. Speech: "Great Society" by Wikipedia. Book: Doughnut Economics by Kate Raworth. Video: The Outdated Origins of Neo-Liberalism. It's Time to Move On (w/Guest Kate Raworth). Video: Future by Design (2006) Official Full Movie. Article: "Transcript of Obama Redistribution of Wealth Audio" by Barack Obama, October 26, 2008. "generally the Constitution is a charter of negative liberties". Article: "CDC gets list of forbidden words: Fetus, transgender, diversity" by Lena H. Sun and Juliet Eilperin. Article: "US federal department is censoring use of term 'climate change', emails reveal" by Oliver Milman. Article: "Can We Indict a Sitting President?" by Susan Low Bloch. Article: "New solar-powered highway opens in China" by Euronews. Article: "Is punishment as effective as we think?" by Hokkaido University. Article: "Prisoner's dilemma" by Wikipedia. Documentary: Where to Invade Next - Michael Moore. Article: "'The difficulty is the point': teaching spoon-fed students how to really read" by Tegan Bennett Daylight. Book: A Sentimental Journey & Journal to Eliza by Laurence Sterne. Article: "Perception management" by Wikipedia. Article: "The Power of Nightmares" by Adam Curtis. Book: Fahrenheit 451 by Ray Bradbury. Article: "Republicans' tax bill could trigger a $25 billion cut to Medicare" by Tara Golshan. Article: "President Donald Trump Signs Historic Tax Cut Bill; Offers Pens to the Media" by Charlie Spiering. Image: "Republican Jesus" by RDTdaily. Article: "The Uncanny, Frightening Ways That Trump's America Mirrors Hitler's Germany" by Thom Hartmann. Article: "Only Nonviolent Resistance Will Destroy Corporate State" by Chris Hedges. Article: "Norwegian resistance movement" by Wikipedia. Quote: "From each according to his ability, to each according to his needs" - Karl Marx. 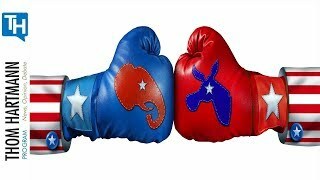 Article: "'Gerrymandering On Steroids': How Republicans Stacked The Nation's Statehouses" (Redmap) by David Daley. Article: "California Citizens Redistricting Commission" by Wikipedia. Check in with us while you're on the go, at the office or hanging out with your family...we've got some GREAT programs in store for you and you won't want to miss a minute!! 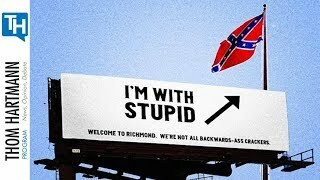 Do Republicans Know The United States Isn't the Confederacy? The Plan To Get 279 Progressive Democrats In Office!